Since the summer of 2018, we have moved away from selling coffee directly to consumers in order to concentrate on what we really love, which is sourcing, roasting and blending the best coffee you will find anywhere. You can buy our coffees exclusively from our partners www.dreambeanscoffee.com and you can see a description f each blend there too. We have been working with the people behind Dreambeans Coffee for more than 20 years now and we can endorse them wholeheartedly. They are serious coffee aficionados. They know coffee, they love coffee and they are good people. The prices are the same as they were when we sold directly. 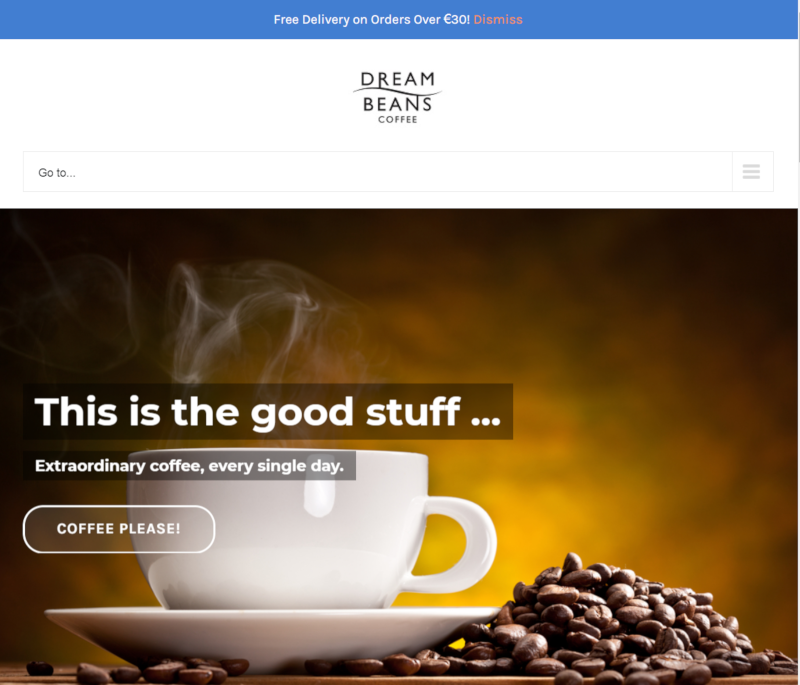 You will also find some SPECIALS which we have developed in conjunction with Dreambeans. These blends are not available anywhere else. If you like our existing blends, you’ll really love our specials.